The Housing Department of the Government had given responsibility to the LDA to find a company for the survey of ropeways in Gorakhpur. 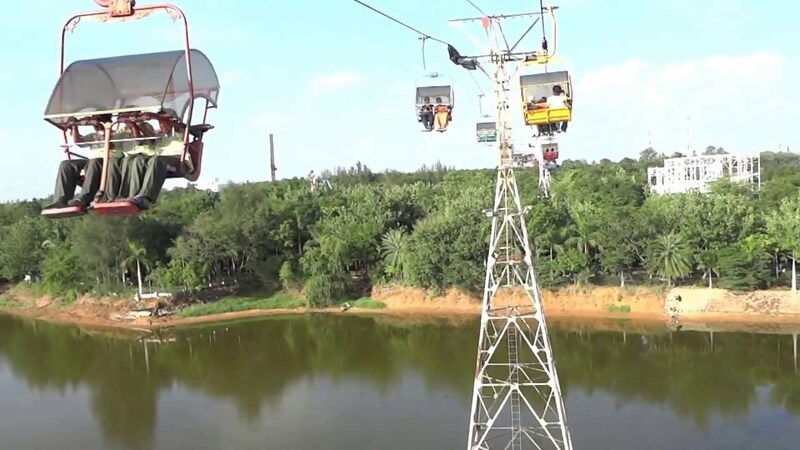 Lucknow: Rope wheel/cable car will be run in Varanasi and Gorakhpur. Its exercise has been accelerated very rapidly. Lucknow Development Authority (LDA) on the directions of the government had sought the offer from the companies for its survey. A company has come up for study in both cities. RITES is doing the work of Metro survey and DPR in Varanasi. Prime Minister Varanasi and Chief Minister Yogi Adityanath’s proposal to run the first metro in Gorakhpur area was ready but now with this rule, the government is also searching for the option of the ropeway. The Housing Department of the Government had given responsibility to the LDA to find a company for the survey of ropeways in Gorakhpur. The LDA invited Tender for this. A company has come forward for this. In the meeting held on October 17, it was decided to give the responsibility of preparing the Ropeway Survey, a railway project working in Metro Project in Varanasi and DPR. However, there was no desire to survey the Roots Rope Way. At present, in both cities, the focus of the Metro is being focused on Rope Way. After the report of both Metro and Rope reports, the government will take a final call on this. Officials say that there is no authority in this country nor any policy has been made for this. The construction of ropeway will cost less than the metro. The LDA superintendent, Engineer Chakresh Jain, said that the cost of construction of Metro is very high, while Sky Taxi / Ropeway can be constructed within 10 times of Metro. That’s why the ropeway is going on. Studies are being done in both the cities of Gorakhpur and Varanasi. After the report comes the picture will be clear.